From April 4 through 6, we’ll be in London at EGX Rezzed 2019—and we’re bringing Jean-Luc, our real-world jackal mount*. 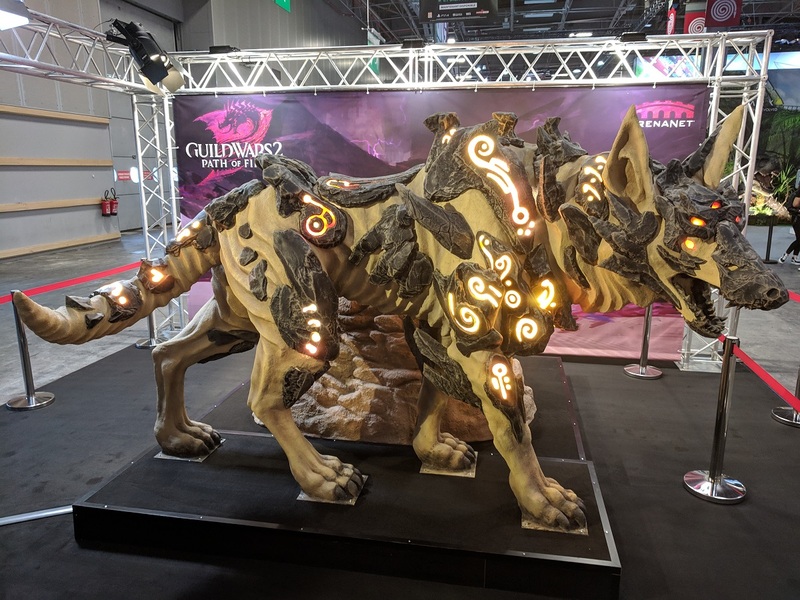 Visit us at booth EMS to say hi and take a jackal ride, then snap a picture and share it on Twitter or Instagram using the #GW2IRL and #GW2Giveaway hashtags. You could win an Amazon gift card! We’ll also be giving away gems daily on Twitter while we’re at the show. Keep an eye on our channels for more info, and follow us so we can contact you if you win! Creating compelling non-player characters in video games is tricky enough—but killing them can be even harder. Giving characters a meaningful-enough relationship to the player that their death has impact—without making people feel like it was used as a cheap way to escalate drama—is a tricky line to walk. Join members of ArenaNet’s narrative and design teams to learn about lessons and strategies they’ve used in Guild Wars 2. This Developer Session will take place on Friday, April 5, starting at 7:00 a.m. Pacific Time (UTC-7). You can watch live on the EGX Twitch channel or the official Guild Wars 2 Twitch channel. *To avoid sand spray and warp incidents, Jean-Luc is not allowed to teleport during public appearances.